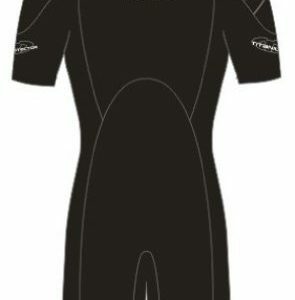 New 2012 season design for the CIC shortie from TWF. 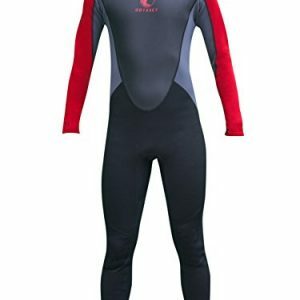 featuring quality 3mm UV50 Titanium laminated soft and supple neoprene the suit is warm, protective, comfortable and facilitating maximum movement – great for children on the go! 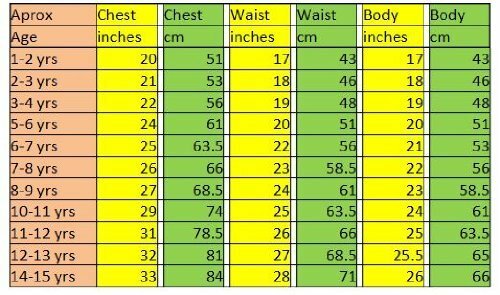 When fitting children, age on any size chart is a guide only. Always go by the actual measurements and dont be tempted to allow a little room for growth. Always use a fabric tape measure. 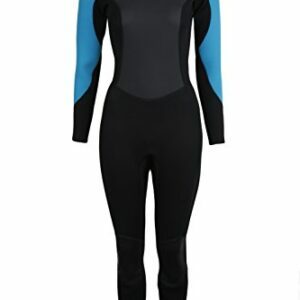 For a shortie wetsuit the body length is the key measurement as you are fitting the torso. Please measure your child accurately and take in to account both the body length and the chest – especially if your child is bigger, smaller, stockier or slimmer than average for their age. 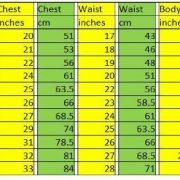 The body length is measured from Tshirt neckline/adams apple area, straight down the front of the body, to just between the legs (where seams cross mid crotch on a pair of trousers for instance). If in any doubt, we are more than happy to give advice . Our wetsuits have been chosen because they give a great fit on the majority of children IF the measurements are accurate – there will always be exceptions! If your child is tall and slim – the odds are that to fit the body length the chest may be loose – there is no way around this. Likewise if your child is of a shorter , stockier build – to get the chest to fit they may well have a suit that is slightly longer than they need. Comfort is the key . Whilst a suit should be snug it has to be wearable.